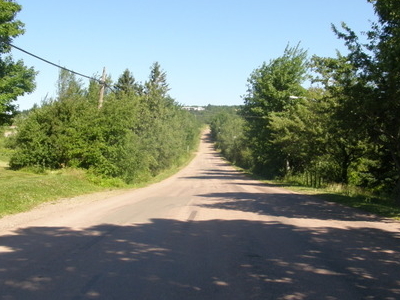 The Magnetic Hill is an example of a gravity hill, a type of optical illusion created by rising and descending terrain. It is located at the North-Western edge (In the Magnetic Hill Area) of the city of Moncton in the Canadian province of New Brunswick.The general area is at the base of a ridge named “Lutes Mountain”, which rises several hundred feet above the surrounding Petitcodiac River valley. In the 19th century, a cart path was built from the city in the south onto the ridge. The path was subsequently expanded during the early 20th century and during the age of the automobile, ca. 1931, it was noticed that at one point near the base of the ridge when driving south, motorists were required to accelerate in order to prevent rolling backward (i.e., what appears to be uphill). The novelty became known as “Magnetic Hill” and was more-or-less an amusing local attraction for residents and visitors to try.Magnetic Hill is now a historic property. 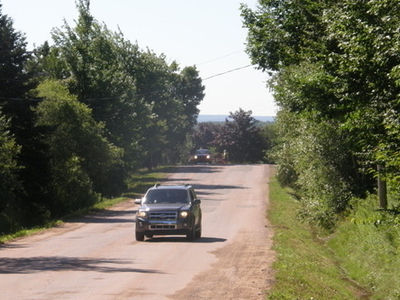 Here's the our members favorite photos of "Hills in Moncton". Upload your photo of Magnetic Hill!